Tucked away down an alleyway off St Helen’s Road you will find Mosaic @ the Press House – just follow the twinkling lights. This award winning restaurant provides a haven of elegance and sophistication in an area full of ethnic dining, tattoo parlours and barber shops. Once through the door you can forget the outside world. 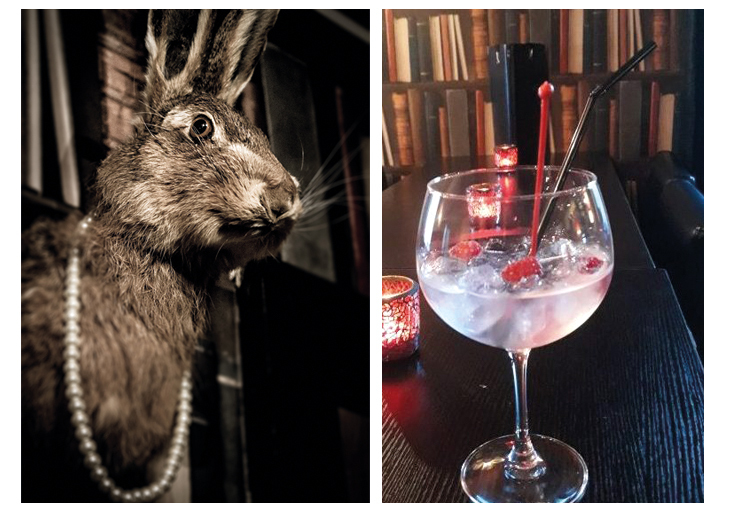 The library bar pays homage to its past as a printing works, with its bookshelf wallpaper and cute taxidermy – I particularly admired the hare with a pearl necklace and earrings. Once we had perched ourselves on bar stools conveniently next to a radiator – it was a chilly night – with a glass of very good Malbec in hand, we perused the menu. So comfortable were we that when they offered to bring our food to us in the bar, we jumped at the chance, and stayed there all evening. Tapas is the order of the day here – with something for everyone; whether you are carnivore, vegan, pescatarian or vegetarian – and even gluten intolerant. This is the ideal place to eat with friends, where the food is simply placed in the middle of the table and everybody gets stuck in. This is my kind of food. We were advised by our waitress that three dishes apiece should be enough, but being greedy we added a couple of extras. We kicked off with the Mediterranean classic of hummus, tzatziki and olives and some pillowy soft flat bread which came in useful as a vehicle for the buttery juices of the huge garlicky king prawns. Creamy garlic mushrooms and mussels in white wine, chorizo in red wine and Southern fried chicken goujons added to our feast – and of course chips. Listed under the title of Comforting Carbs were the chunky chips – crispy on the outside and meltingly soft on the inside deep fried potato – served in a dinky little basket. Did we regret ordering so much food? No not at all – we sat there quietly grazing and enjoying our wine. The service was attentive but not intrusive – we could relax and unwind at our leisure. The cost of each individual tapas varies from £3.50 to £7.50 for the king prawns so you can tailor your choices to your budget. The portion sizes are generous so are perfect for sharing. A review by Steve B on their website says “Platform 9¾ off St Helen’s Road – Great friendly service, lovely staff, making a wonderful effort, and is one of those places that deserve to succeed”. And I have to agree. 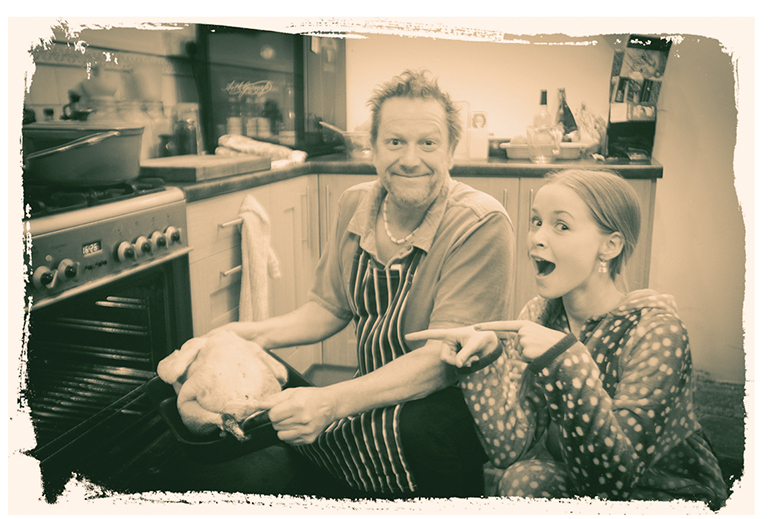 Christmas Day – he said it was by far the best he’d had in many a year and that his parents too said that it reminded them of how turkey used to taste before they were produced on an industrial scale. 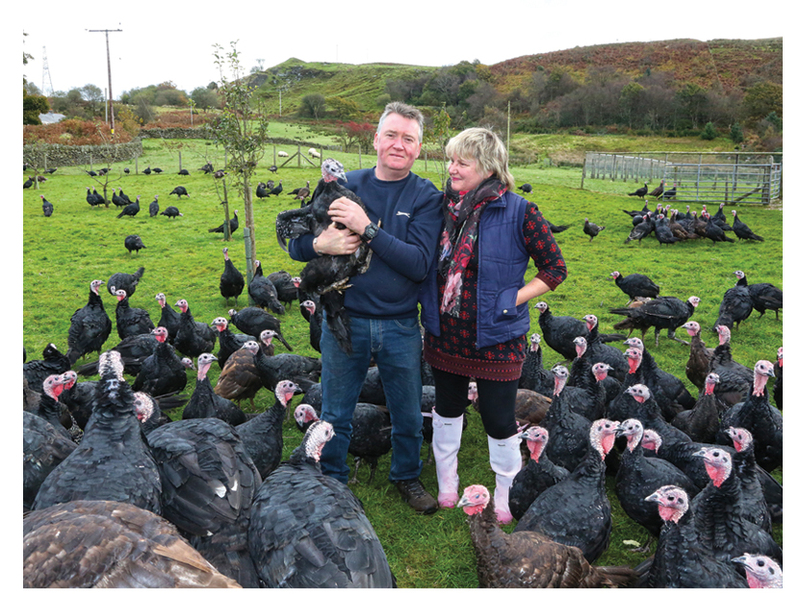 Ian and Cheryl (pictured left) run their free-range turkey farm high in the hills overlooking the Neath valley, where their main objective is the welfare of their birds. Cheryl provides detailed instructions on how to cook their turkeys – follow them to the letter and you will not be disappointed. For the first time in several years I won’t be rushing up the M4 to Kent this Christmas as our little family are all in Swansea. So I will be ordering my fruit and veg from Chris and Gareth of Get Fresh, based in Swansea market. If you order £15 of produce they will deliver it to your door free of charge – it’s not difficult when you take into consideration all the extras that we buy at this time of year. Nuts, fruit and salad as well as the mountain of everyday vegetables we serve as part of our Christmas lunch. You can email or phone your order through – don’t forget to mention that I recommended them! A traditional Christmas varies from family to family. Ours starts with a fairly light breakfast – the rule is that we can’t start opening presents until the breakfast table has been cleared. Next we gather around the tree and start passing parcels around – this is usually done while drinking a glass of fizz. Isn’t it mad that on this one day of the year it is acceptable to start on the booze at 10.00 am! Around mid-day I bring out the canapés – the same type every year. Mini Yorkshire puddings with a wafer thin slice of very rare fillet steak topped with crème fraiche spiked with horseradish, tiny blinis with a curl of smoked salmon and crème fraiche and a tiny bit of lumpfish roe or caviar, and little puff pastry vol et vents filled with M&S Chunky chicken – no other make will do – it has to be M&S. Every time I have tried to introduce something different, I get cries of ‘but we always have….. it’s tradition’. Which is partly what Christmas is about isn’t it – family traditions – the same decorations year after year, the same foods. Maybe I will stray a little off piste this year and add in some cheesy straws with cream cheese and pesto. With the continued rise of people converting to a plant based diet it is interesting to note just how many of our household brands are actually vegan. Vegan chocoholics will be delighted to learn that Cadbury’s Drinking Chocolate added to nut milk is the perfect drink for a winter’s day, and if you’re feeling particularly naughty, add in a couple of McVities chocolate chip hobnobs – these too are free from any animal products as are Fox’s Party Rings, Rich Tea and Digestives. If you’re more a savoury snacker then why not indulge in a bag of Hula Hoops – original and salt & vinegar. Most ready salted crisps are vegan and of course so are my favourites – Twiglets. I understand that most cake mixes are vegan and that you simply substitute banana, apple sauce or vegetable oil for the eggs. There’s lots of information out there on the internet on how to make vegan alternatives for dairy products. One of the most fascinating tips is how you can make meringues by substituting egg whites for the water from tinned chickpeas whisked until they are stiff. Commercially produced puff pastry is also vegan, which makes rustling up a plant based savoury or sweet tart a piece of cake. I keep a stock of things like sun-dried tomatoes and artichoke hearts in my store-cupboard as they make an easy addition to dried pasta for an impromptu veggie meal. Lidl and Aldi do some really good jars of antipasti that are a fraction of the price of Waitrose. Rachel Jamison has a vegan recipe for chocolate on page 122. Once you’ve mastered the technique you can go on to add your own twist – get yourself a couple of different moulds and you can turn out your own bars and shapes. With the addition of nuts, seeds and fruit you’ll be able to ring the change. If you have a family favourite that you want to share, pop along to our Facebook page and post your pics there. Here’s a Christmas quiz to test the family’s knowledge with food inspired questions. It’s just for fun so the answers are at the bottom of the page – but no cheating! Who served up figgy pudding in Charles Dickens’ A Christmas Carol? The name of which spice comes from the Latin word for nail? Which TV character eats three Christmas dinners so as not to offend their friends? The Belgian cougnou is a brioche-type bread baked in the form of whom? What fruit, when put into the container, will keep a stored Christmas cake moist? In the Christmas song what was ‘Roasting on an Open Fire’? What nationality was the chef on The Muppet Show? What did Hermione give to Harry in The Sorcerer’s Stone? Which alcohol is traditionally added to the base of a Christmas trifle? From what flower do we get vanilla pods? Who coined the phrase: “the world is my oyster”? Which Italian composer had a steak dish named in his honour? Which famous ballerina had a luscious dessert, ideally topped with summer fruits, named after her? What are manzanilla, petit luques and nyons all types of? 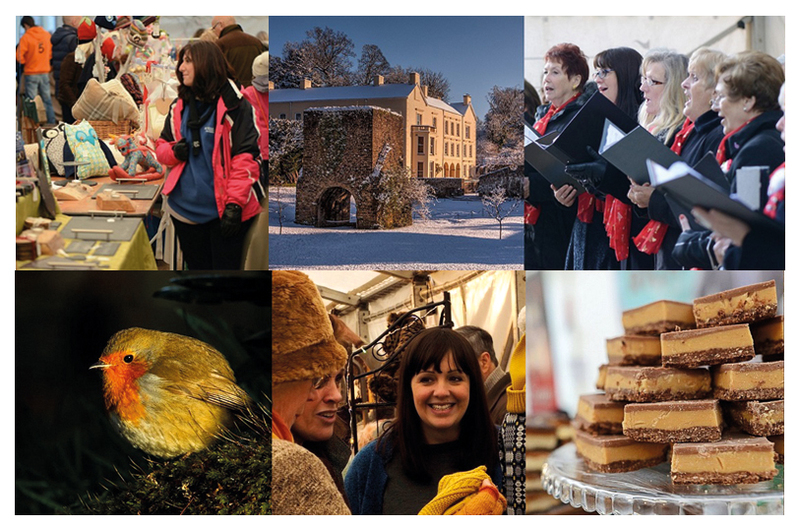 One of Wales’ biggest Christmas events takes place on the weekend of 30 November, 1 and 2 December at Aberglasney, Carmarthenshire. In the food marquee you’ll find 30 stalls of artisan foods from local suppliers. Outside there will be a hog roast, music and dancing. In the Mansion and Craft Marquee there will be over 60 stalls offering a wide range of Christmas gifts and decorations including ceramics, glass, woodcraft, knitwear, jewellery and much more. Tickets £8.50 – Under 16s FREE. Not all the stall holders take card payment so please remember to take some cash with you. Vegan cookery classes are available on a monthly basis for those wanting to expand their repertoire of healthy recipes. Everyone is welcome to the classes, regardless of their current choice of diet, allergies or intolerances. Recipe cards and your dishes are taken home with each student.Seasonal kids cookery classes are also available, including raw chocolate and Easter egg making, Christmas gift making and a summer smoothie and ice-cream class. To find out more or to book a place for one of our classes go to www.coolbeans-wales.co.uk or call 07929 203653. See page 122 for this month’s vegan recipe from Rachel.